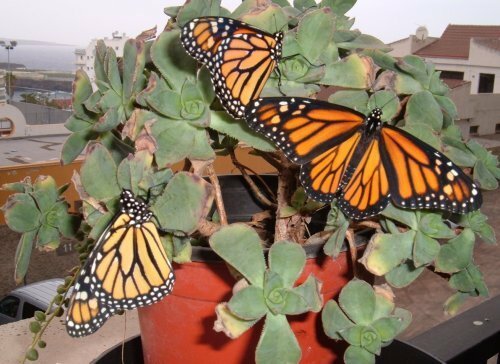 Why an international butterfly project? There is no organisation known as the International Butterfly and Moth Project but there should be! Butterflies and moths are having a very tough time of it and many are endangered, facing extinction or have already gone that way. We need to do all we can to give them a hand and to help restore their dwindling numbers. I have been looking at the problem in some depth and have concluded that one of the main problems the insects face is lack of the plants their caterpillars feed on. This, of course, comes into habitat destruction and the known damage being done by herbicides such as Monsanto’s Roundup. I have a plan that could help reverse things, at the very least for many species. The more of us that help the butterflies the more chance they have of survival. People all over the world could get involved in helping the conservation of species of butterfly and moth that live where they do. It is as simple as growing plants the insects need and stopping destroying them. Anyone who has a garden or even just a balcony or terrace, as I do, can grow plants that butterfly and moth caterpillars feed on. 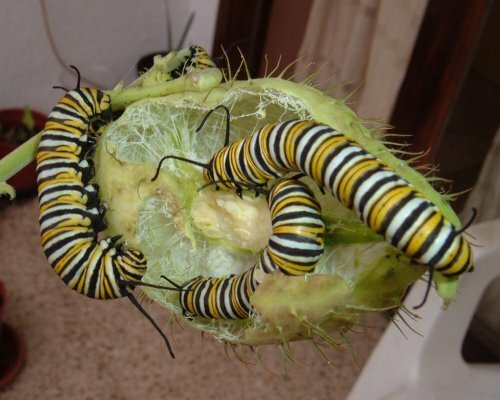 I have done this here on Tenerife by growing Milkweed in pots to feed Monarch Butterfly (Danaus plexippus) caterpillars with. I have seen as many as 50 adult butterflies in one week that had been reared on plants I grew. Many people in America and elsewhere are already doing likewise but we need far more doing this. That is why we really need an international butterfly and moth project. Obviously individuals can do what they can on a personal level, but better still would be an organisation set up to control, monitor, plan and put into operation projects tailored to specific country and environmental needs. I don’t know how such a massive project could be set up and it would need some very serious financing but it could be done. An international butterfly and moth organisation would require some very wealthy supporters who were environmentalists and could help with the funding. Milkweed (Asclepias) species, as already mentioned are vital to the Monarch Butterfly’s life-cycle and survival. The plants are easy to grow and there are varieties suited for subtropical areas and for the cooler more northerly ones. In North America there are many different species of the plant and most of these are available from online suppliers on the Internet. Searching for Milkweed seeds on Amazon and eBay brings up loads of entries and many are very cheap to buy. The Milkweeds are also the food plants of some other butterflies and insects, as well as making wonderful providers of nectar for adults and all the pollinators out there that are also having a hard time in many parts of the world due to a combination of factors. Stinging Nettles (Urtica dioica) are another invaluable plant for butterflies and growing the plant is a great way to help in conservation efforts to ensure the survival of these beautiful insects. In the UK alone there are five butterfly species that have caterpillars that feed on the plant. The Peacock (Inachis io), the Small Tortoiseshell (Aglais urticae) and Red Admiral (Vanessa atalanta) have larvae that eat nettles, whilst the Comma (Polygonia c-album) and the Painted Lady (Vanessa cardui) are two species with caterpillars that will eat these plants but also have alternatives. Growing Milkweed and Stinging Nettles are two ways you can help butterflies but even leaving areas where the grass can grow long is a potential help to the species with caterpillars that are grass-feeders. Perhaps surprisingly there are a very large number of these. Many of the butterflies in the ‘Browns’ or the Satyrinae, as the sub-family of the Nymphalidae are known, have caterpillars that only eat grass. The common Meadow Brown (Maniola jurtina) is one such butterfly species. Cultivating flower beds with attractive flowers is not only a visual joy to us humans but a food source for adult butterflies and moths. 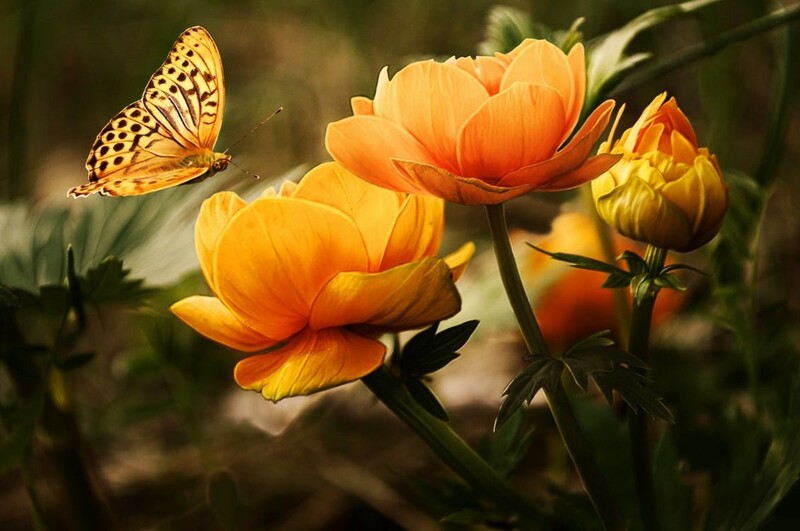 The flowers will also attract species that may have been flying over and if they find suitable plants to lay their eggs on they will stick around and do so. 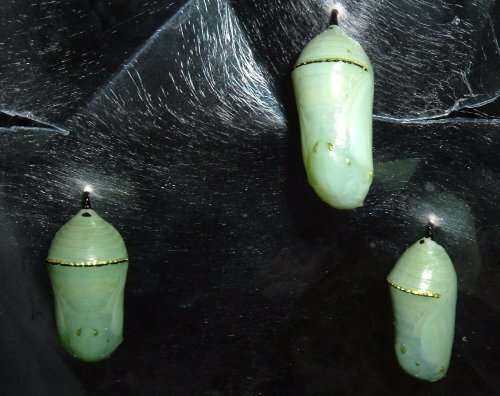 In the UK when I lived in Ely in Cardiff, I had great success with butterflies and moths that were breeding successfully in my back garden. I had Small Tortoiseshell, Red Admiral and Painted Lady caterpillars at various times on my Stinging Nettle patch, Speckled Wood (Pararge aegeria)and Gatekeeper (Pyronia tithonus) butterflies with caterpillars that eat grass, Comma larvae on my gooseberry bushes and Poplar Hawk Moth (Laothoe populi) caterpillars on the Sallow Willow tree I grew specially for them. 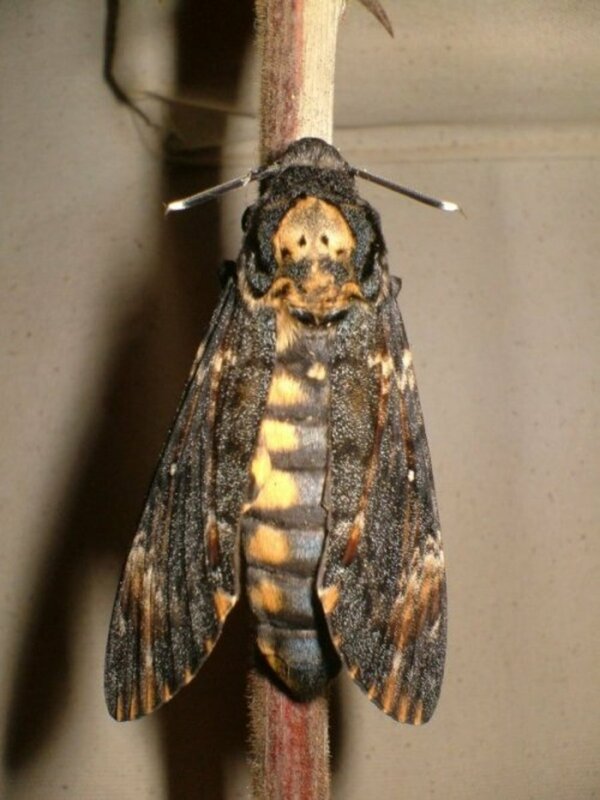 Hawk moths are very large species with equally big caterpillars that eat a wide variety of plants, trees and bushes and all have a spike on their tails. Some types of hawk moth only have a couple of food-plants but others have a wide selection. The Poplar Hawk can, of course, also lay its eggs on Poplar trees, as its name suggests. 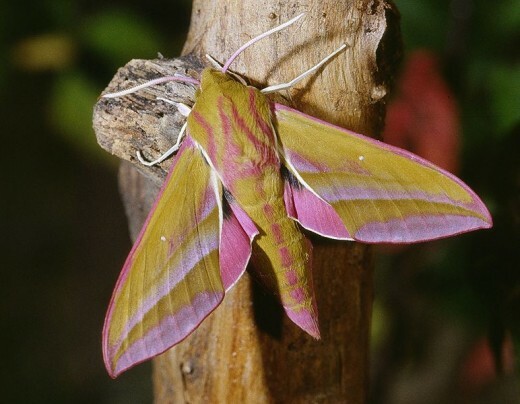 In the UK, the very pretty Elephant Hawk Moth (Deilephila elpenor) which has attractive rosy pink and olive-brown colouration in the adult moths, often lays its eggs on Fuchsias but the larvae will also eat Willowherb species (Epilobium) and Virginia Creeper (Parthenocissus quinquefolia). The caterpillars of the Elephant Hawk Moth are curious creatures with large eye-spots on their heads. They often end up in news stories after someone has found them and think they are some type of small snake or even an alien life-form! Are you doing what you can to help butterflies and moths? Obviously the best way for a worldwide butterfly and moth conservation project to work is for as many people as possible to do what they can to help the species that live in the areas they live in. We need to think locally to help the world of butterflies and moths globally. Many people live in cooler temperate countries, while others live in the subtropical and tropical parts of the world. 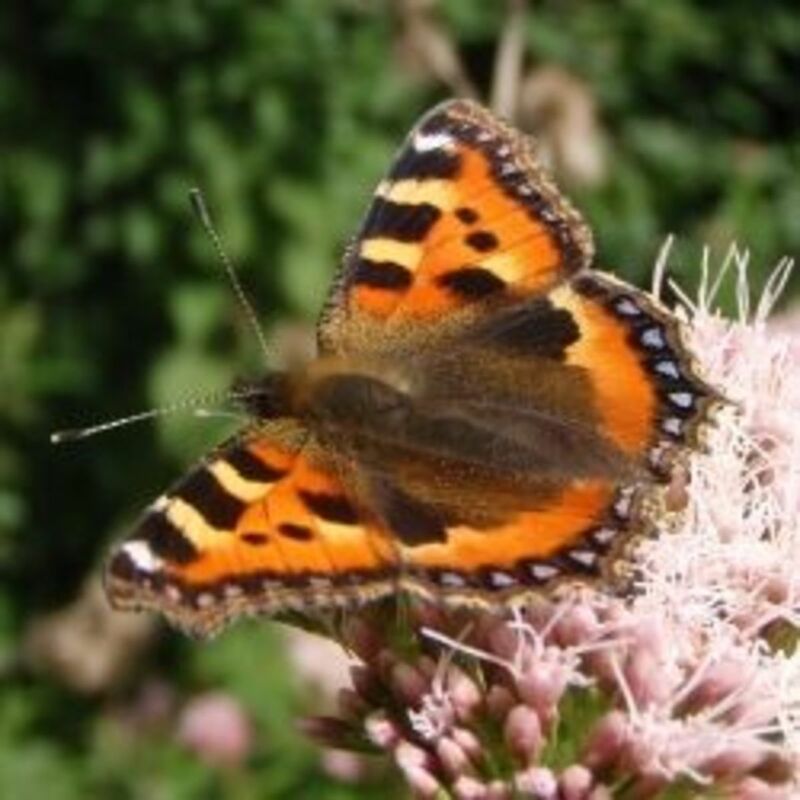 Different plants can be grown to cater for the butterflies and moths that live in the different conditions and have different needs. If you don’t know what those types in your area need for their survival why not have a look at a good book on butterflies and moths and find out. You can never learn enough about these very beautiful insects and I am learning more all the time. 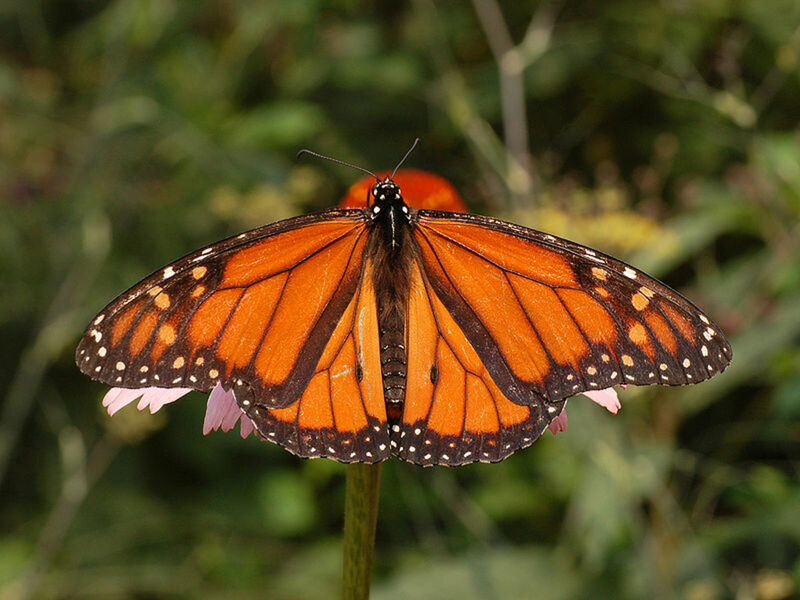 What Can We Do to Help the Monarch Butterfly Population? Thank you for your wonderful comments and good luck with the milkweed! Green Bard, thank you for such wonderful hubs. I have read a few with my daughter and she is in love with all your insightful information and fabulous pictures. My daughter is already a naturalist at the tender age of 5. She shares the same passion as you do for the great outdoors and the need to preserve wildlife. I already purchased milkweed seeds to plant in our garden. Thank you for the idea. Please, continue writing hubs. Very inspirational. What wonderful response you have all made! Thank you, everyone! 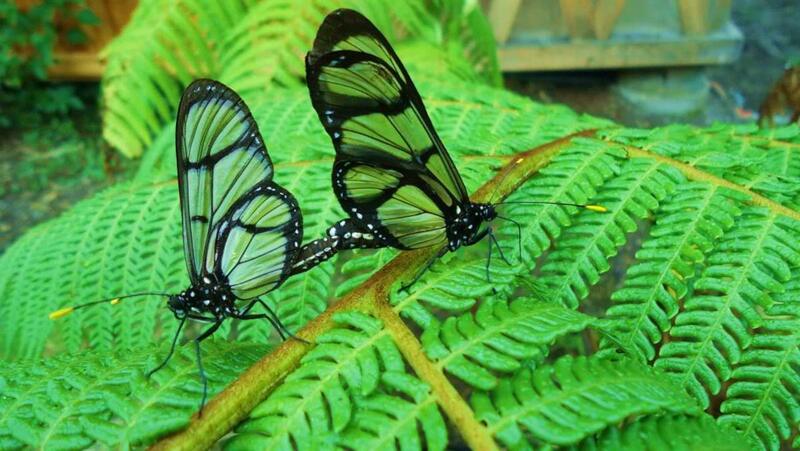 LetitiaFT, I love your idea for Social Networking for butterflies! This is such a fabulous idea and so simple! Why don't you start the organisation in question? You could do a website with a map where people in the know could click and add the butterflies and corresponding plants for their area for people who don't know! Social networking for butterflies. How cool. I'd sign up! A beautiful video and well written hub. Thanks. Voted up and shared. Another great Hub on trying to save the Butterfly. You and I have a lot in common on this subject as you know. If possible, another idea would be to start a butterfly farm.